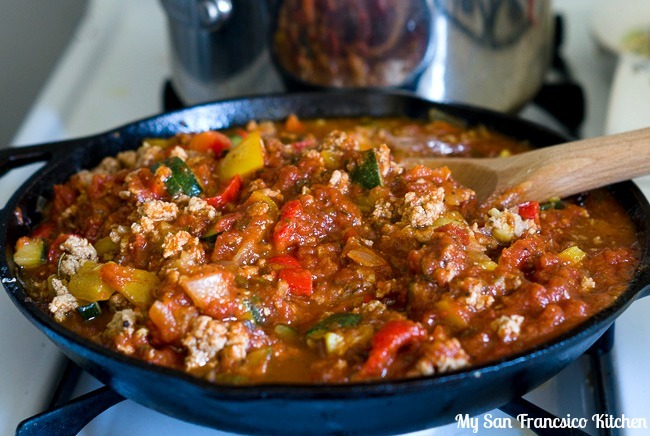 One of the reasons I love this turkey spaghetti recipe is that the leftovers last a few days and still taste great! 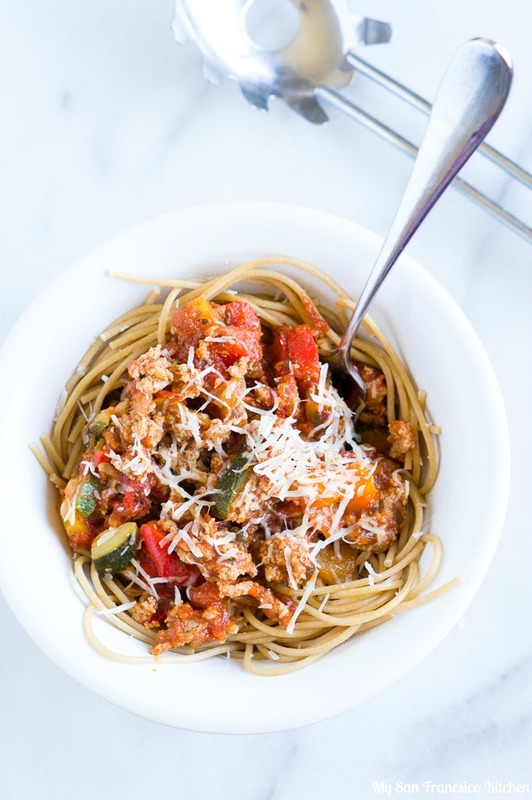 It is created The Tuscan Way, using fresh red and yellow bell pepper, zucchini, onion, garlic and ground turkey tossed with Bertolli Tomato and Basil pasta sauce and whole wheat spaghetti noodles. You guys know that lately I have been incorporating more simple, uncomplicated, easy yet healthy meals into my cooking style, and this one definitely fits. The hardest part of this recipe is chopping all of the fresh ingredients (which you can do ahead of time, of course). 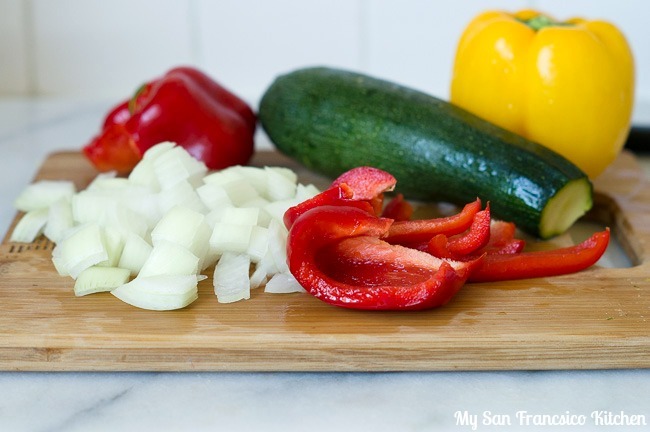 Once the chopping is done, it takes minutes to cook and toss before your dish is ready on the table. 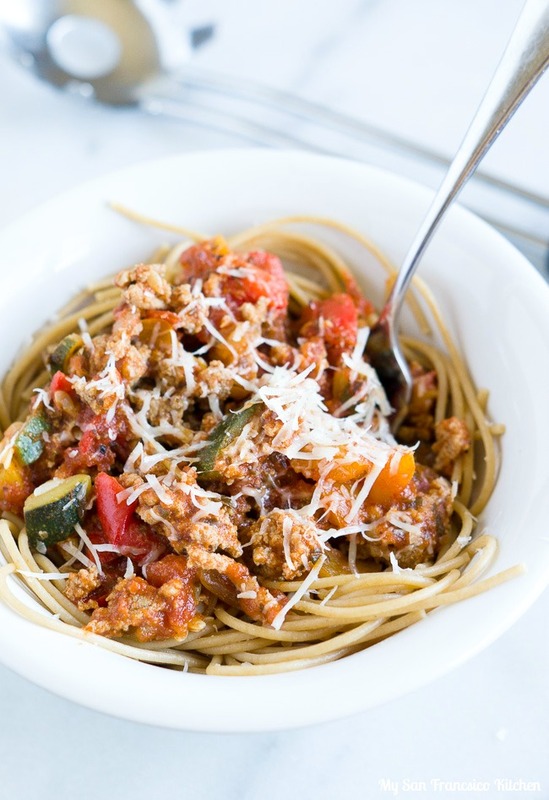 This turkey spaghetti recipe is perfect for a quick, healthy weeknight meal, especially when you want lunch leftovers the next day! 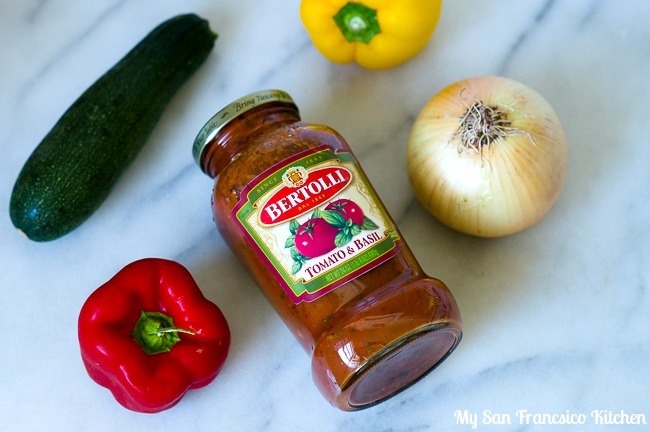 It is so nice that half the work is already done by using a high-quality pasta sauce from Bertolli, and the fresh tomato basil flavor fits this recipe wonderfully. Find out where you can get yours at a store near you here! 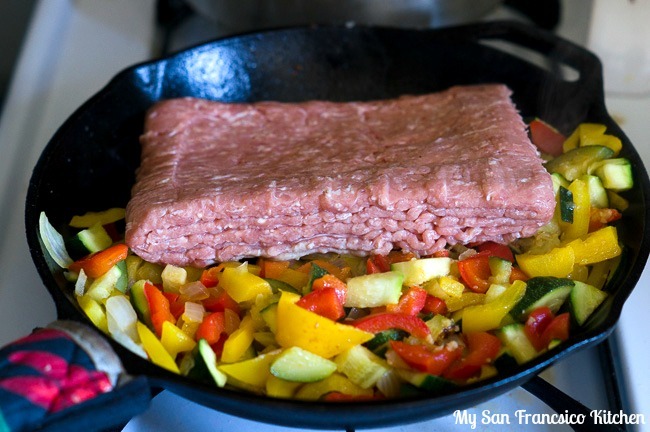 Add olive oil to a skillet and heat over medium heat. Add the onion, zucchini and bell peppers and cook until tender, about 10 minutes. Stir occasionally. Add the turkey and cook while stirring every few minutes until brown. Add the pasta sauce and stir. Lower heat to low and simmer. 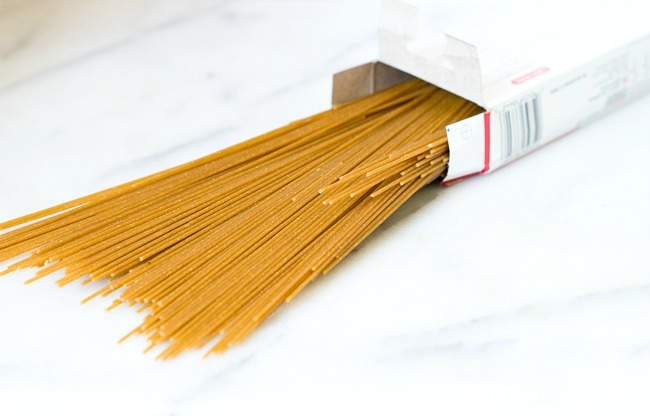 Bring a large pot of water to boil and add the noodles. Cook according to package directions, about 9 minutes. Toss the sauce together with the noodles and serve. Top with fresh Parmesan cheese. 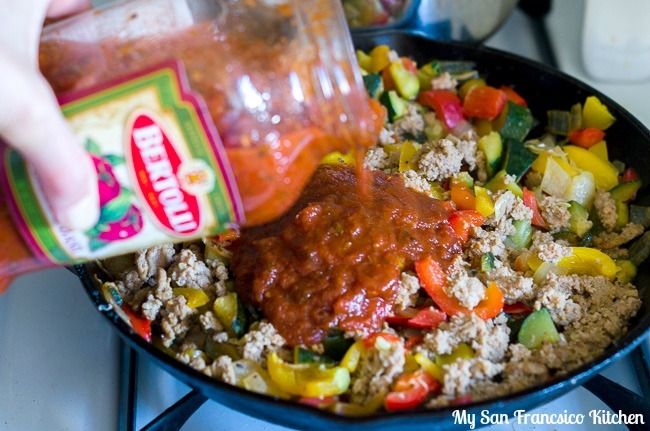 This entry was posted in Dinner, Lunch and tagged bell pepper, onion, pasta, spaghetti, turkey, zucchini.